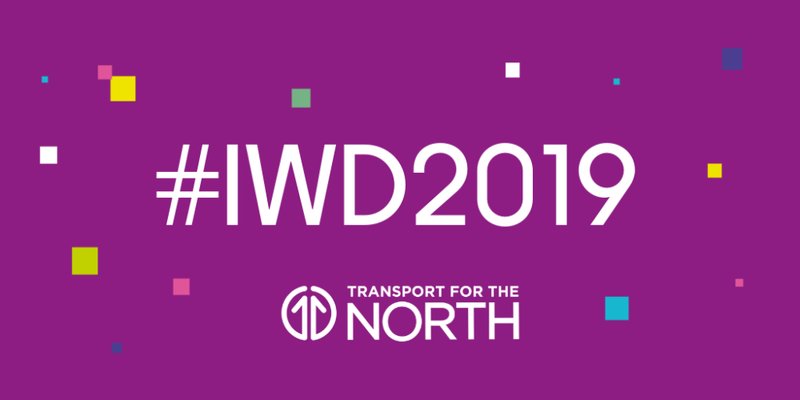 On International Women’s Day, we asked colleagues from Transport for the North, and the wider transport industry, to talk about a woman (or women!) they want to celebrate on #IWD2019. Transport for the North colleagues Sophie Holland, Haddy Njie, and Karen Sanderson to name only a few. Each woman has demonstrated that there is no one way to be successful in the transport industry. Their only similarities are that they’re assertive while being respectful and that they encourage and support their peers when they can. There are so many! One lady that springs to mind is Lorna McDonald, who is in business development for Hitachi Rail Europe. Lorna has proved that tenacity and curiosity teamed with a passion for the people with which we work can rightly propel you in the sector. She is less than two years into her rail career and right from the off (while at BEIS) she broke the mould while complementing her colleagues’ skills and knowledge. She continues to engage, challenge, encourage, with enthusiasm and humility. I have worked with Lucy Hudson (Lead Officer for Freight and Logistics at Transport for the North) on developing presentations and articles in order to bring to life the subject of freight and logistics, which to be honest, she doesn’t need much help with. Working in an industry that is very male dominated, Lucy really stands out not because she is a woman but because she is inspiring, knowledgeable and passionate about what she does. Think freight and you think big trucks and containers – speak to Lucy and she can bring it to life. She explains with great passion about the complexities of how things are moved around the country and how different it is across the channel. I have learnt such a lot from Lucy in a short time and admire her for her passion and knowledge. Being spoilt with so much choice, including Anne Wilson and Abi Broadley. I know of one lady who absolutely deserves some recognition – Nina Harding. Nina is our communications manager at Newton Aycliffe and a proper northerner. Nina is one of those hidden gems who works tirelessly behind the scenes at our manufacturing site and is not in the limelight nearly as often as she should be. She is a real hardworking woman, coordinating all of the really important stuff at the site. Her work and support shown towards local communities, colleges and apprenticeships is admirable. True to the business ethos #inspirethenext, she regularly invites groups to the site to talk about the work we do. Nina proves that with hard work, determination and brilliant juggling skills you really can achieve so much. Rather than just one woman I think it’s great for the younger generation to see women drivers of trains, trams, HGVs and buses. When I was young that was never ‘a thing’ so I’d like to celebrate them! We need to work harder across the transport sector to attract more women and in turn create great role models for future generations across all jobs, from entry level apprentices up to Senior Executives. Lucy Prior! What can I say about Luce that hasn’t already been said. This lady is the epitome of the Rail industry, a champion of diversity, inclusion and engagement alongside being a stalwart for her employer. Lucy goes above and beyond what many others would do to ensure those around her feel involved and part of a wider team. We need more Lucy’s in this industry. Gracie, aged 6 from Sheffield, star of our Inaugural Conference! Jessica Ennis is very good, she comes to my athletics class sometimes and she teaches us things. She has shown us her medals.